What do you get when you cross well-known middle grade graphic novel writers and school? 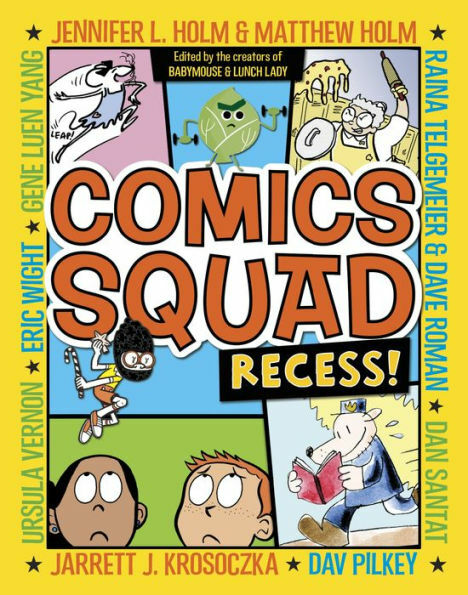 Comics Squad! 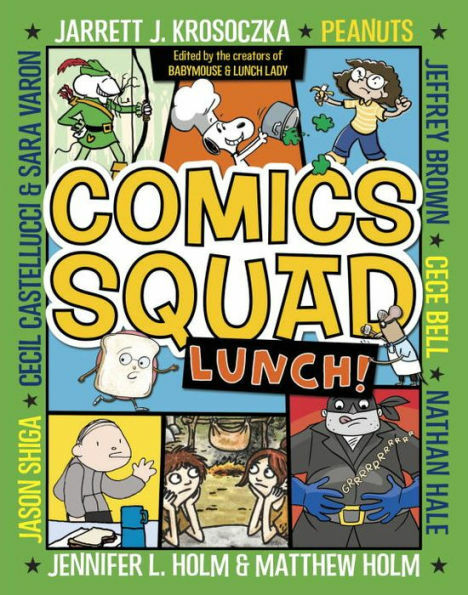 I had fun recommending Comics Squad: Lunch! today when a student had finished (and couldn’t find another-because-they’re-always-checked-out-of-the-library) Diary of a Wimpy Kid. 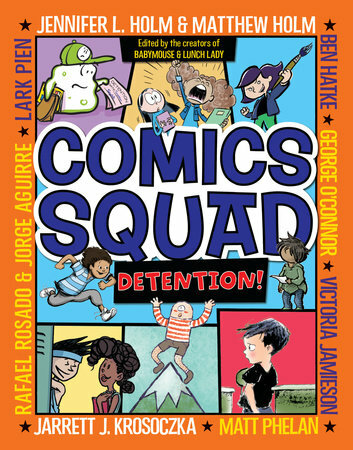 Comics Squad series books are collections of stories and drawings of already-famous characters, written by already-famous authors — in compact, colorful books, and they are FUN to read! Right up my alley — and my middle graders’. Thank you to Jennifer L. Holm, Matthew Holm, Jarrett Krosoczka, Cece Bell, Nathan Hale, Jason Shiga, Cecil Castellucci and Sara Varon, Peanuts, and Jeffrey Brown for creating this particular edition (Lunch!) of comics for readers. This librarian is spreading the book love!